When moving out of state for a new job, there are many different tasks that must be accomplished. On top of worrying about starting your new position, the stress of finding a new place to live in an unfamiliar city can seem overwhelming. 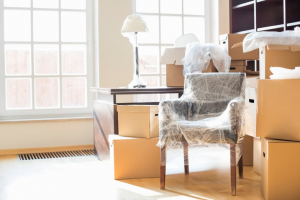 However, there is no need to worry as we’ve compiled a list of expert tips for moving when relocating for employment. Feel prepared as you take this profound next step in your career and life. A good way to make sure you accomplish everything that must be done before moving day is to create a relocating checklist of all necessary tasks. You will need to know important information about the new city you will be calling home in order to make informed decisions. It’s a good idea to do some research about the city you’re moving too, especially if you don’t have the opportunity to visit beforehand. Begin by researching the city, neighborhoods, and the location of your work. Research helpful factors such as the price of living, average housing price per square foot, tax and insurance information, and map out day-to-day driving routes. If you are also moving your family for a new job, you will want to consider the location of schools, churches, and extra-curricular activities. Gather as much information as possible about your new city and you’ll be more knowledgeable about what to expect. When moving for a job, make use of the resources that are available to you. This includes becoming familiar with local websites and information centers such as the city’s tourism department, Chamber of Commerce, and local newspapers. Many of these resources can provide you with helpful information about the city and its housing options. Additionally, be sure to ask your new employer for information on relocating. Some organizations provide assistance or reimbursements for moving costs. If you are not ready to buy a home, consider short-term rentals, corporate housing, and extended stays. This option can be ideal when relocating for employment as your mind might change about the city, job, or location once you have arrived. Premier Corporate Housing is here to help assist you in this process, making short-term housing easy by finding the best furnished apartments for rent to ensure a seamless move. Transitional housing is a great option when relocating to an unfamiliar city. It allows you to focus on what really matters, settling into your new job. The most difficult aspects of moving are handled for you, including finding you the best options for extended stays at a cost that works for you. At Premiere Corporate Housing, one call does it all! Give us your list of requirements for your temporary housing and we’ll take care of the rest. You won’t have to spend time moving heavy furniture or decorating as we offer housing options that are fully furnished. Contact Premier Corporate Housing Today! Your short-term housing options are made easy with Premiere Corporate Housing. We can coordinate all aspects of your relocation and even help with furniture delivery. We have the experience necessary to handle your unique situation and can provide economical extended stay apartment options. Contact us for a free quote on corporate housing. We can have you in your beautiful new short-term furnished apartment within 48 to 72 hours.